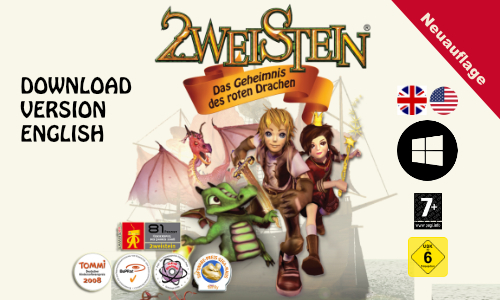 2weistein – The Curse of the Red Dragon is attractive for anyone who likes to train his mathematical skills and the brain, up from about 8 years till 99 – it’s always necessary to count and to train in order to have a vital brain. You need a basic knowledge of the time tables to solve the tasks and some know how of addition, substraction, multiplication and division. To make it easy to success there are different levels, automatically adapted to the specific knowledge of the player. Some tasks help as well to control impulsiveness, hyperactivity and inattention, others train the short-term memory and concentration. And many more skills and challenges ...! This award-winning game was produced with native professional English speakers, story and tasks are written and told, so that you can follow easily. Contents were proved by professionals, teachers and psychologists and evaluated with children and adults.You will be surprised how much you love maths! You can play the game with the keyboard or with your controller. 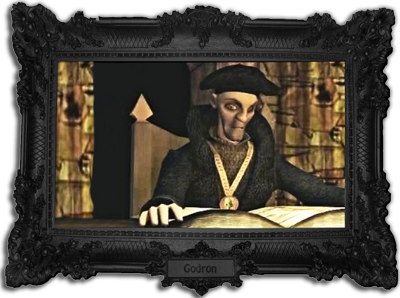 This educational software is attractive for anyone who loves fantasy-action and likes to train his mathematical skills and the brain, up from about 8 years till 99 – it’s always necessary to count and to train in order to have a vital brain. Train maths while playing! Since we are a „small business“ as defined in §19 UStG (German Value Added Tax Act), we do not bill VAT and therefore do not display VAT. Es erfolgt kein Ausweis der Umsatzsteuer aufgrund Anwendung der Kleinunternehmerregelung gem. § 19 UStG. Copyright © Red Octopus GmbH Entertainment, Music & Art - Imprint and Privacy/Datenschutz!